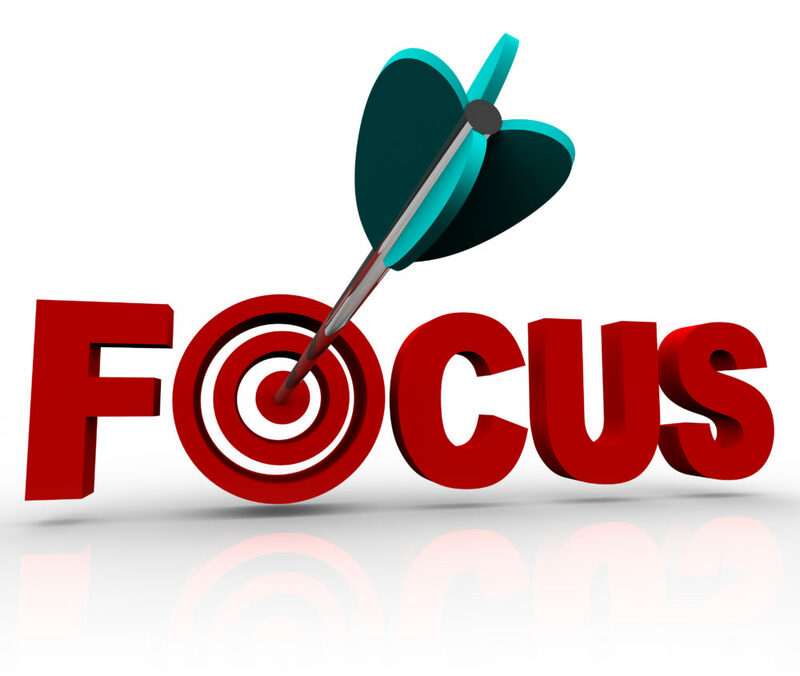 How can you stay focused on your health and Fitness goals? Apparently when a journalist asked Bill Gates and Warren Buffett, what one word would they use to describe the key to success in life they both answered, independently of each other, with the word Focus. I would tend to agree with this answer as you can apply it to any aspect of your life can’t you? Right now I’m focusing on writing this blog post and hopefully you’re focusing on reading it! So, in terms of your health and fitness this year, how focused are you on your goals, really? The end of January is nearly here and your new year resolutions may be fading. Have you actually set a goal? Do you even know what you want to feel like, look like and/or achieve? If you don’t know what you want to achieve then how will you know if you’ve achieved it? Don’t have three or four things you’d like to achieve as your targets will get diluted and there’s a good chance you won’t achieve any of them. If you have a specific target and goal then you can work towards it and, will more likely, achieve it. So, for example, you are more likely to fit in a workout if you know that you have a specific reason for doing it rather than just “going to the gym” for the sake of it with no specific target. Without a target it’s just too easy to say “I’ll skip it tonight because I’m a bit tired or it’s cold outside”. Start the week with your plan on what exercise you will do that week and on what days, as well as aiming to plan out your meals and then, of course, when you’ll have a drink! Make the plan and then stick to the plan. So there you have it, a short and sweet post this time, but I won’t you to stay focused! What is your goal for the first quarter of this year? Please get in touch and let us know; we might be able to help!